Audiovisual solutions from BCS can be customized to meet the unique requirements of any educational facility, from K-12 to higher education. We can integrate cutting-edge audio, video, and lighting solutions to almost any area within your campus. We also provide access control, video surveillance and mass communication systems that ensure the safety of your students, teachers, staff, and visitors. 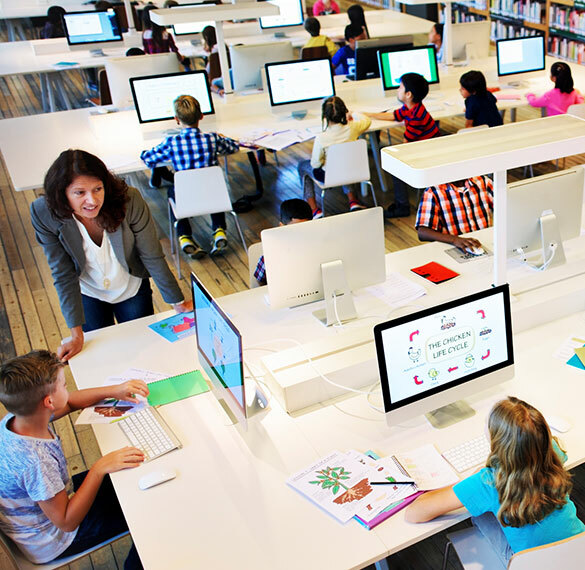 We have years of experience designing communication systems and networking solutions for schools. They open various possibilities, including webcasting, distance learning, remote asset management, and video and audio conferencing, among others.